« Pear Tiramisù – Tiramisù alle pere, è troppo buono! When it comes to espresso, needless to say that Italy is the place for espresso lovers. 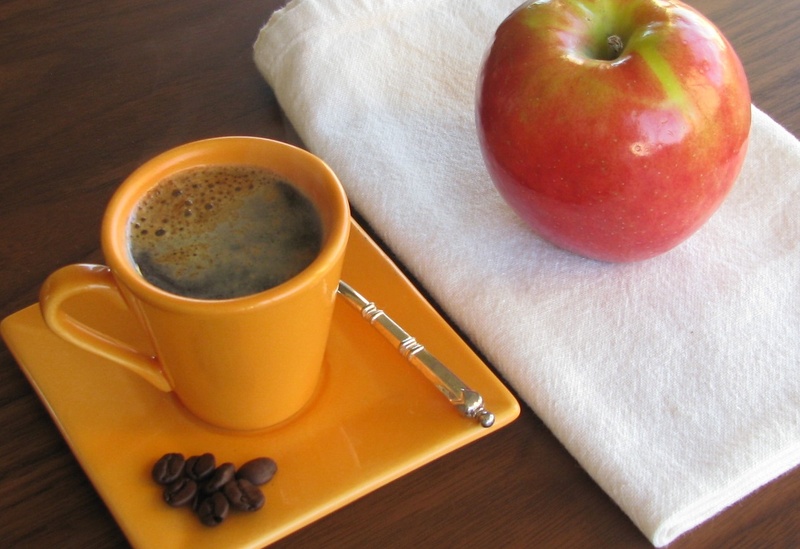 The love Italians have for coffee is similar to the culture French have for wine. Probably because they import the best coffees, the best mixtures and most of all, it’s the country where most coffee makers and espresso machine have been invented. I love coffee, but it needs to be strong, hot and powerful…and living in the US, you just cannot have it from outside cafes, you have to make it at home with the right machine and right coffee mixture. The problem with coffees in the US, is that they’re inconsistent, it seems that every “barista” is doing its own thing. Barista is a serious profession in Italy and they take pride in mastering the art of espresso making. The thing is that I recently understood that I will never be able to reproduce at home with a home espresso machine the same espresso that I get in Italy in a bar. It is just impossible, most domestic espresso machines have low water pressure, so the coffee is not as hot, and not as flavorful. I don’t know know but I don’t like it. So I decided to stick to my traditional Moka machine until Brikka from Bialetti arrived on the market. Renato Bialetti invented the first moka machine in 1933 and he revolutionized the consumption of domestic coffee and became a symbol of Italian history. Still nowadays, 73% of Italian households use moka vs. 27% use espresso makers. (moka is the name of the traditional coffee maker that most of Italian households use to drink their coffee, and not the mixture of coffee/chocolate drink we have in the US). The features of Brikka is that it has a pressure-controlled valve (it’s that piece you see on the picture), it looks like a traditional moka but it operates differently makes the best espresso ever. It’s hot, strong, powerful and you can watch the foam coming out. The coffee comes out very quickly due to its high pressure valve. Yes, you get the foam on your espresso, you get it hot, strong and The coffee comes out at more than 100C. So far, I have never found a good domestic espresso machine less than $1,000 that makes good espresso. Call me crazy, maybe……and the good news is that it’s available in the US now!!! I found it online at various stores or at the Bialetti store itself. Then obviously it’s all a question of tastes, you like it ristretto, lungo, in a cup or in a glass, with or without sugar…just enjoy it the way you like it. But don’t forget to use good quality coffee such as Illy, Lavazza, Segafredo or any mixture made for espresso and if you have time, grind the beans.., it makes a difference. This entry was posted by silvia on December 16, 2008 at 9:26 pm, and is filed under Misc Articles. Follow any responses to this post through RSS 2.0.You can leave a response or trackback from your own site. Now that is espresso! This looks so tasty and STRONG – just the way it should be. When I was in Rome, I remember hanging out by a little espresso bar when two policemen came in to order their daily shot of espresso. They threw those shots back as soon as they out of the machine and were on their way. That’s the way to do it. Fresh and hot. Grazie for this. My mokka was destroyed in the dishwasher, so now I know what to buy as the replacement. Thanks for sharing about expresso. I love expresso but only in making cakes….LOL. I do love mocha though, not as strong. My great aunt Pia gave me one of those bailetti brewers when I first moved away from home, along with a handcranked pasta machine. I still have the bailetti. I did buy a de longhi machine a couple of years ago.It works well for us. Ooh, I have one more cooking class to teach tomorrow night, then it’s my weekend….a nice little cup of this espresso is just what I need! I need to get one of those. Life is not the same without espresso. I love coffee and espresso, plus the history behind it. I used to work in an American cafe that took brewing pretty seriously, so that’s where I became hooked on brewing good coffee and espresso. So glad you’ve found a great machine here to enjoy a cup! I love my Bialetti. It’s so easy to use and the flavor you get from it is amazing. I live in France & the espresso here is amazing (not Italy, tho). 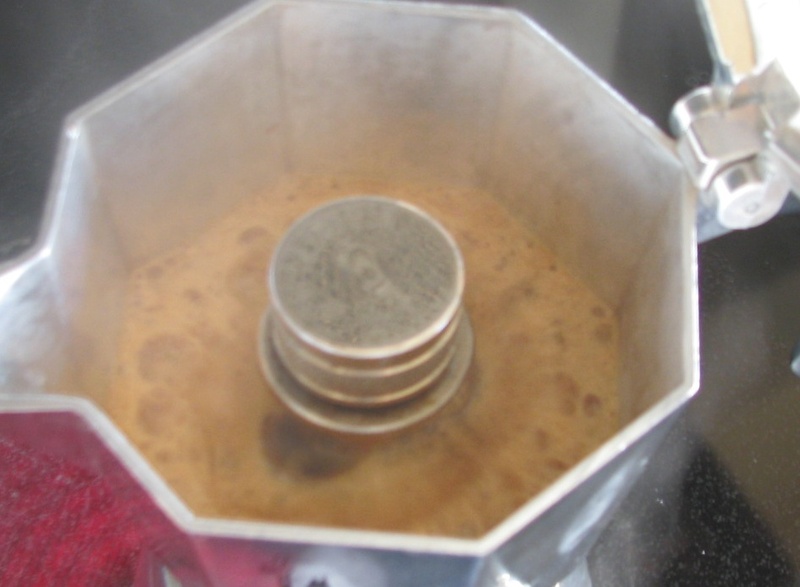 Back in the US I had a bialetti & loved, loved, loved it. Now I have a real espresso machine, but still miss my bialetti, especially when I need to make more than 2 cups of espresso. It is an amazing machine! !